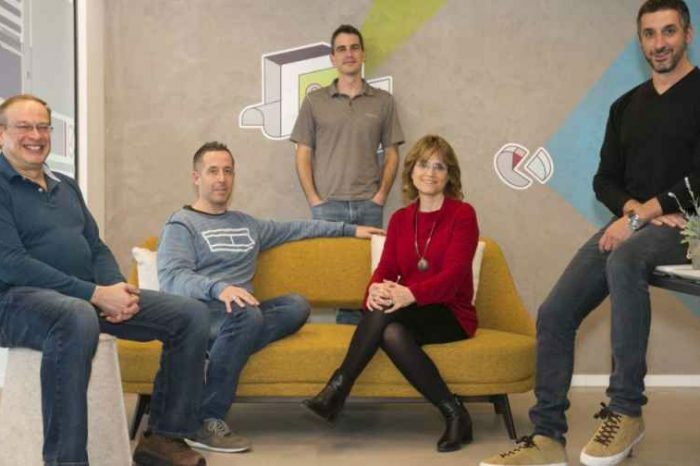 Do you want to take your gaming experience to the next level? Mobius might be the next immersive cinematic 3D audio gaming headphone you need. 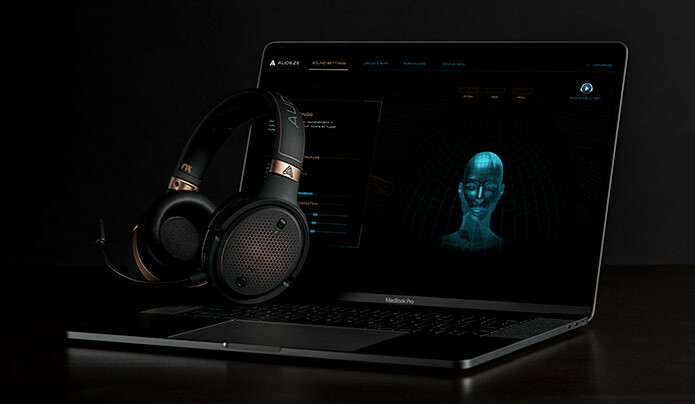 Created by a California-based startup, Audeze, Mobius is the first premium high-end, fully immersive 3D cinematic audio and head tracking-enabled headphone designed specifically for gamers. 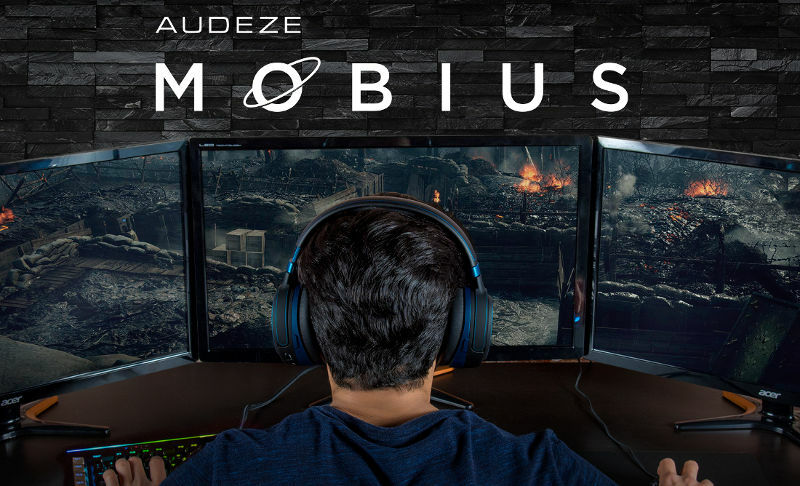 Mobius harnesses Audeze’s award winning planar magnetic technology and combines with leading-edge head-tracking, room emulation, and sound localization technologies to unlock the full potential of gaming audio. 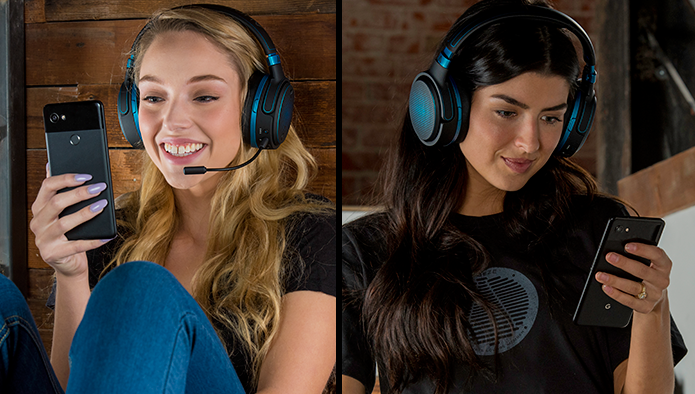 With Mobius, you can hear your favorite games, and movies, like never before! Audeze is bringing it’s award winning-audiophile sound to the gaming world. 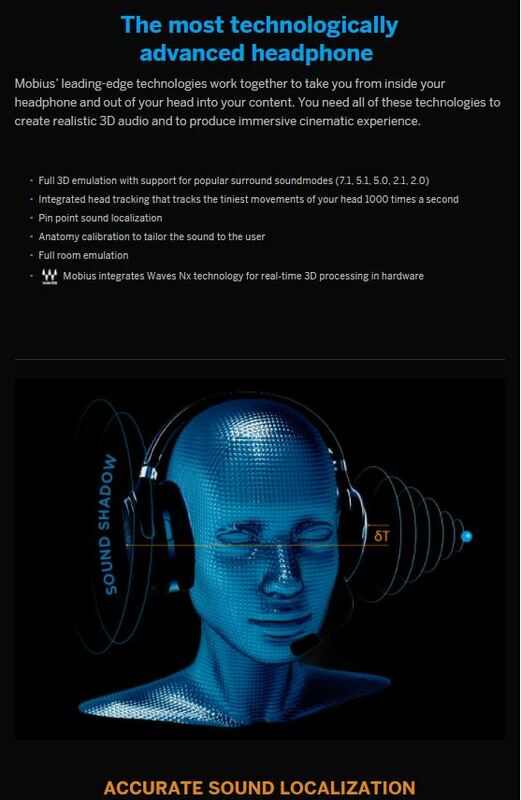 Mobius features full 3D emulation with support for surround sound modes, and an integrated 3D head-tracking system that works seamlessly with today’s most popular content. Coupled with state-of-the-art room emulation technology and anatomy calibration, Mobius is truly optimized for the way your brain processes sound in a manner consistent with real-world listening. In the first 24 hours since the announcement, they achieved 830% of its initial Indiegogo goal and surpassed $420,000 in funds raised. 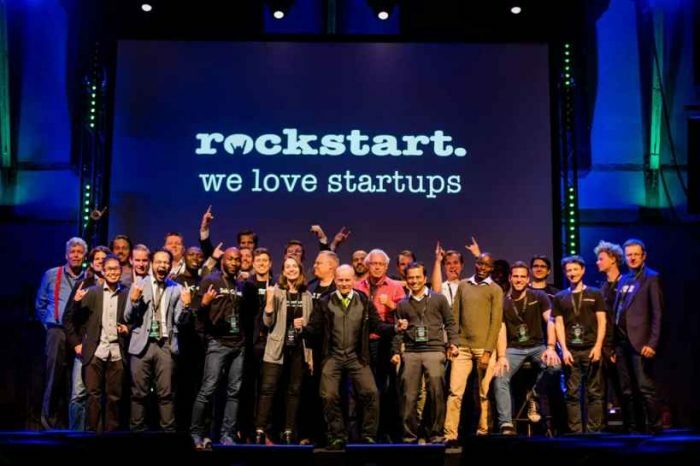 To date, they have raised $560,841 USD from 2121 backers with 25 more days to go. Audeze has now achieved 1122% of $50,000 of its initial flexible goal. The story of Audeze’s origins go back to 2008 when founders Sankar Thiagasamudram and Alexander Rosson met engineer Pete Uka who developed specialized flexible circuit materials for NASA. They quickly realized the material might be perfect for headphones. That’s when Dragoslav Colich, who has 30+ years’ experience in designing planar drivers, joined the team as CTO to create the LCD-1 headphone. They later created the legendary, award-winning LCD-2 and LCD-3 headphones, and the higher-efficiency LCD-X and XC models. More recently, we made planar magnetic technology accessible to a wider audience with the EL-8, SINE and iSINE series headphones. Audeze turned to their strategic partner Designworks, a BMW Group Subsidiary, for the cutting-edge industrial design for the new headphones as well as the Deckard DAC/Amplifier. Audeze feature proprietary planar magnetic designs with extremely thin-film driver materials and powerful custom magnets. Planars overcome many limitations inherent in typical cone drivers; our lightweight diaphragms are, for example, faster and more responsive than heavier moving-coil or dome drivers. Planar magnetic diaphragm also have a voice-coil circuit spread across the diaphragm surface. The diaphragm’s voice-coil circuit interacts with the magnetic field to produce an electromagnetic force that moves the diaphragm back and forth creating the sound you hear when energized by an audio signal. 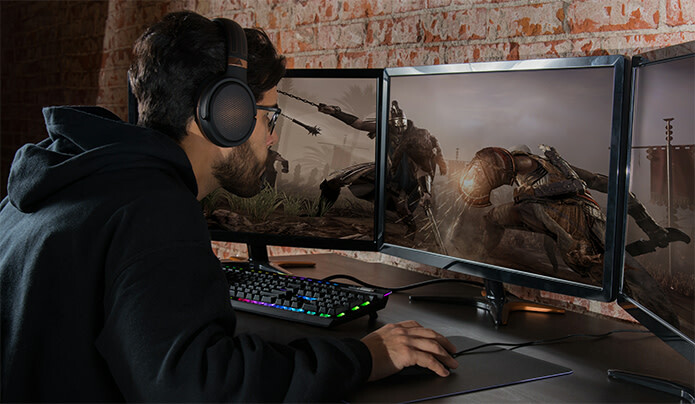 Mobius features full 3D emulation with support for surround sound modes along with a fully integrated 3D head-tracking system that interfaces seamlessly with today’s most popular video games. 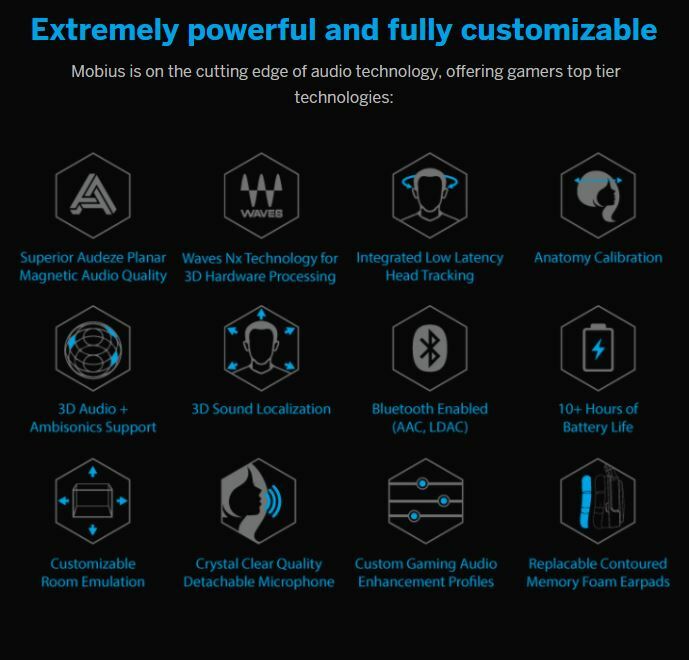 Coupled with state-of-the-art room emulation technology and anatomy calibration, Mobius is truly optimized for the way your brain processes sound, in a manner consistent with real-world listening. The built-in Waves Nx technology enables the complete immersion in the 3D audio field. Mobius is an experience, an opportunity to dynamically interlace your gaming audio in a 3D environment around yourself: to truly live and exist within your media. Whether or not it’s a plane flying overhead or the rustling of brush from an enemy behind, the Mobius breathes life into every experience, taking the game from the screen to an entire room. Audeze headphones have achieved worldwide acclaim among music industry professionals and audiophiles alike for their pure, spacious, and highly detailed sound and for innovation which has kept Audeze on the cutting-edge of audio technology for a decade. 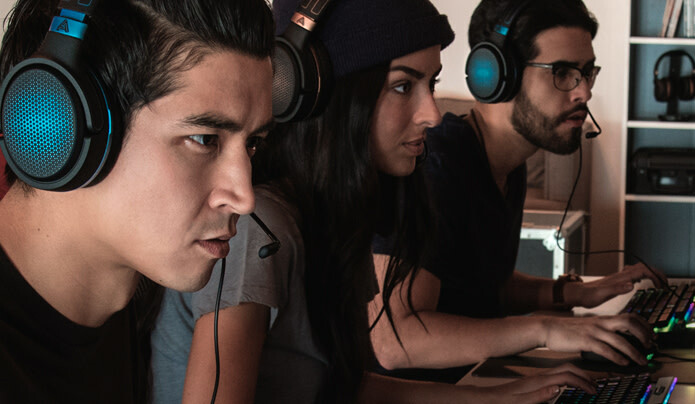 Conceived under the belief that audio quality should never be compromised for the sake of utility, Mobius will be the first headphone to provide the unsurpassed level of detail, clarity, and positional accuracy of planar magnetic drivers in a feature-rich package designed specifically around the needs of both professional and casual gamers. 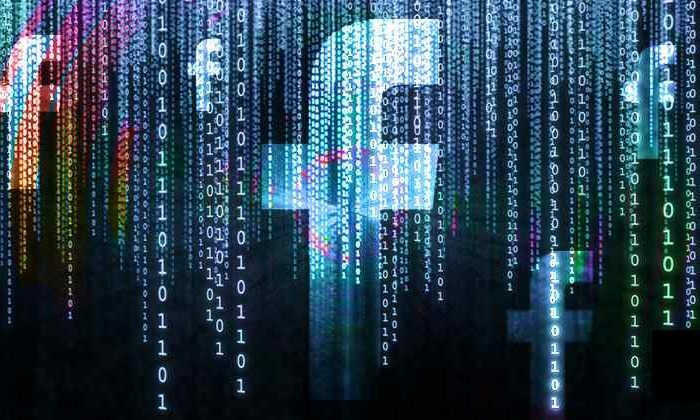 Looking for the edge that’s finally going to push you to the top of the leaderboards? But what good is all this great sound if the headphone is uncomfortable? Mobius is designed with comfort in mind. Mobius’ advanced technology and lightweight, ergonomic design provides comfortable, long-term use and reduced listening fatigue. Comfort is enhanced by the inclusion of fully replaceable, contoured memory foam ear pads and an adjustable, durable memory-foam padded, headband. Mobius is tuned in the Audeze labs to reproduce a very natural sounding environment resulting in reduced listening fatigue and allowing you to enjoy your headphones for long periods of time. The headphones’ advanced technology and lightweight ergonomic design, delivers comfortable, long-term use and reduced listening fatigue. This comfort is enhanced by the inclusion of fully replaceable, contoured memory foam ear pads and an adjustable, durable, memory foam padded headband. Mobius also comes with a flexible and detachable boom microphone with built-in noise attenuation, mute/unmute functionality, and independent microphone volume control in order to provide crystal-clear voice quality. This allows users to dictate team strategy without having to worry about the details getting lost in translation. While Mobius includes a wealth of ground-breaking features: it remains intuitively compatible with all of your favorite devices and provides USB, USB-C, and auxiliary connections. Mobius also features LDAC Bluetooth functionality with almost three times the data bandwidth as other Bluetooth headphones. This level of versatility allows you to enjoy all of the benefits of Mobius on whichever platform you prefer. Mobius is not just the world’s most innovative gaming headphone, it is a truly immersive, mixed media platform. With fully-integrated surround sound functionality, you can immerse yourself into your favorite movies to a degree that will rival even the experience of being inside a theater. The optional Mobius Creator Package comes bundled with the latest 3D audio plugins from Waves, including the B360 Ambisonics Encoder and the NX Virtual Mix Room; both crucial tools for anyone working with Virtual and Augmented Reality applications. The Indiegogo campaign will continue to run for 25 more days with early bird, introductory pricing available starting at $259 (retail value $399). Audeze expects to start shipping units beginning in June 2018. 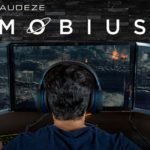 For more information about the campaign and to order Mobius, visit igg.me/at/audeze-mobius or audeze.com.